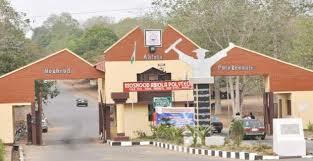 The Academic Staff Union of Polytechnics, Moshood Abiola Polytechnic branch, on Wednesday suspended its four-month old strike. The union had embarked on the strike following a face-off between it and the Ogun State Government on issues relating to the conversion of the polytechnic to university status and creation of a new polytechnic at Ipokia. The union had argued that the government did not follow due process in the conversion, a claim the government dismissed. However, the face-off affected semester examinations which led the students to embark on a protest. About 20 protesting students were later arrested and arraigned in court, a case which has been adjourned to February. The union on Wednesday after its emergency congress which lasted for about six hours explained why it decided to suspend the strike. The chairman of the union, Kola Abiola, told journalists that the suspension followed interventions and appeals by stakeholders. He added that the move will also allow the government to look at the issues raised before the industrial action was embarked upon. He added that the union has confidence in the ability of the negotiators involved. “Upon several appeals and interventions from within and outside, we put all the appeals to our congress and the congress, in its wisdom, decided that, upon these appeals, we suspend this strike to allow the state government look at grey areas raised,” he said. “Government has all our issues with them. For the sake of the system to continue to run, when the crisis was starting, we went to prominent people to intervene and now that they are intervening, even for deliberation and discussion to go on while the academic activities can also go on,” Mr. Abiola said. Speaking on the pending examinations, the union official said, “the ball remains in the court of the management of the institution to determine when to write the exams. “We know the policy of the government is that they don’t want to talk to us and we are also not talking to them. At a point in time, we had an intermediary that we were talking with.